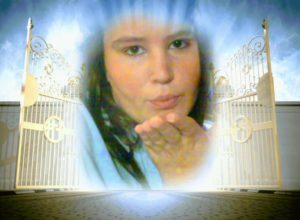 Crystal Dawn (Cayton) Sanders 33, of Henderson, Kentucky went home to be with the Lord on March 29, 2019 at the Linda E. White Hospice House. She was born on May 17, 1985 to Terri Christine (Cayton) McLean. She is survived by three Daughters, Kiley and Alexa Powell, Brittany Alvarado; two sons, Tristen Powell and Tyler DeLong; mother Terri (Cayton) McLean; grandparents Connie and Jack Cayton; Fiancee Tif Mitchell-Craig; three sisters Terri DeLong, Brandi Cooper and Cathy Goad; three brothers Dale McLean, Dakota McLean, and Richard Kirtley. She was a Nawna to A’Mia and Ka’Den Ray. Also several Aunts, Uncles, and cousins. She is preceded in death by many. A Memorial Service will be held at 5 P.M on Thursday, April 4, 2019 at First Grace Church of Evansville with Minister Alan Goad officiating.